Wireless service providers and enterprises need an easy to deploy management system that enables them to efficiently manage and grow their network. 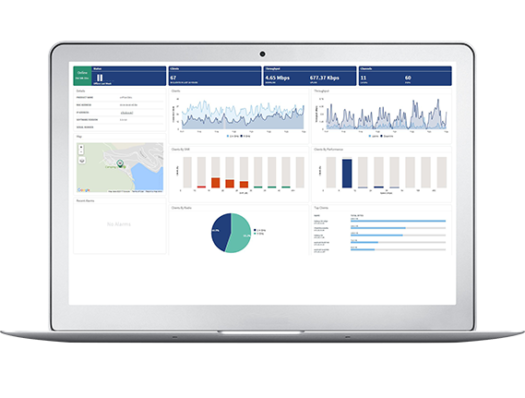 Cambium Networks cnMaestro management platform is tailormade to simplify management of your Cambium network. The cnMaestro platform is a cloud-based or on-premises software platform for secure, end-to-end network control. 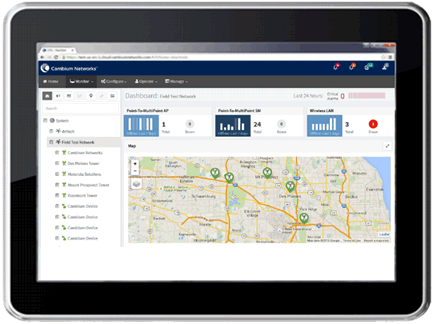 cnMaestro wireless network manager simplifies device management by offering full network visibility and zero touch provisioning. 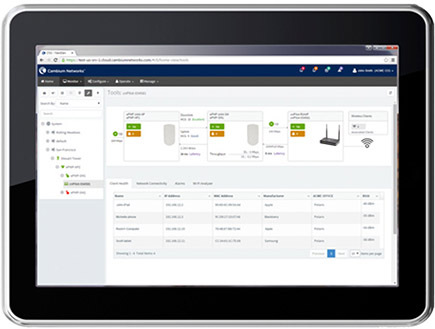 View and perform a full suite of wireless network management functions in real time. Optimize system availability, maximize throughput, and meet emerging needs of business and residential customers. Single pane of glass to manage an entire network, including backhaul point-to-point (PTP) links, point-to-multipoint (PMP) access and Wi-Fi. cnMaestro also features dedicated dashboards for each device, with common and centralized upgrade, zero touch provisioning, and device configuration workflows to minimize the learning curve for network managers. Access cnMaestro quickly from wherever you use secure HTTPS. With no need for a VPN connection, the cloud management system always has the latest updates and device software at your fingertips. It is also easily scalable – no need for up-front hardware expense; no need to deal with the complexities of server management and deployment. cnMaestro offers many ways to view wireless network data including maps, tables and historical charts to quickly assess a single device or an entire group. Wireless parameters and statistics are automatically available, enabling operators to focus on designing and growing their network, not their management system. Find out what cnMaestro is and what it can do to save your time, money and hassle with your network.